I've never heard of Radar. Do you have a link to their site? They are the absolute best! Highly recommend them. HowardTheDuck wrote: They are the absolute best! Highly recommend them. Great, thanks! It looks like they sell some pretty cool stuff as well. Now they've got Chip and Dale in stock too. Why does the only one I want have to be the last released? I cannot get over how good these all look. I do wish the packaging was a little more uniform in look, but that's just a personal nitpick. Hoping to see Gadget, Huey, Dewey and Louie plus Webigail! Hi, everybody. I’m new to the site but I just love the action figures Funko has been putting out this year. Especially the Darkwing Duck figure, he is so awesome! Does anyone know who sculpted him and the other Disney Afternoons action figures or hasn’t Funko revealed that? I was also wondering how to post pictures? I figured out how to upload my Avatar but I also had some pictures to post for this topic and couldn’t figure it out. Thanks and God Bless. The video features Shelley (3D sculptor) and Isabel (articulation specialist and 3D sculptor). Thanks so much jayncoke. Thanks for answering all my questions. I’ll try to upload my pictures later today. Merry Christmas. I am in love with the Darkwing Duck! His hat is finally the right proportion. Hope this line continues. Are they starting to show it in stores too? I actually ordered all 5 off Big Bad Toy Store and they shipped yesterday! I got em all except the Chase Negative Darkwing Duck... still looking for him! jayncoke wrote: I got em all except the Chase Negative Darkwing Duck... still looking for him! I ordered my chase Darkwing off of Radar Toys for $20. They have him in stock with free shipping on any order and 10% off with code toylove. Not a bad deal considering he is 1 in every 6, plus I think every order I’ve placed from them has come in a week or less. There is so much potential for this line. I think Launchpad is a no-brainer if we get a second wave of figures since he was in both Darkwing Duck and Duck Tales. Looking at how Funko likes to make the most out of their molds (five different colored Batmobiles this year for example,) they could release Launchpad in Ducktales packaging as an exclusive and Darkwing packaging for regular release, or vice versa. 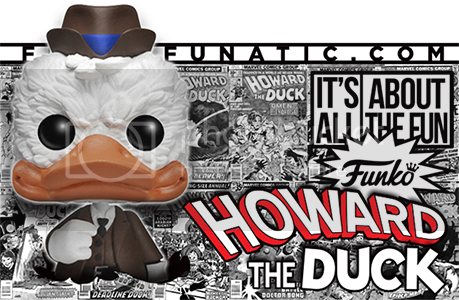 Speaking of exclusives, Negaduck (yellow and red) seems like a sure thing if you go by what they released for Pops. They could use Darkwings mold I just hope they make a new head since he should look menacing and not happy. Does anyone have any comparison shots next to the 90's action figures? That Darkwing looks so much like the figure I had back when I was little. I have got to get these! ...But i'm already having an internal struggle about whether to take them out of the package or not! ScroogeMcDollar wrote: Does anyone have any comparison shots next to the 90's action figures? Pretty cool! I was hoping the old figures would fit in a little better but at least the scale is right. I can't imagine Funko will get to remake all of the old figures. I've got Chip and Dale on order - still waiting to be shipped. I'd love to see all the Gummi Bears next! These figures and the sculpting are amazing! Where'd you order Chip & Dale? I still want the nephews! Please bring out a series two!!! I'm in the UK, so I used Forbidden Planet. Shipment has been delayed a couple of times now. Toy Story is not part of the Disney Afternoon. Wow. The Huey, Dewy and Louie Mystery Minis look great scale wise with Scrooge! ghostrye wrote: Wow. The Huey, Dewy and Louie Mystery Minis look great scale wise with Scrooge! I am so excited to get these. They have turned out pretty sweet. Cant wait...I found chip and dale rescue ranger at a hot topic recently! Sad that there was no news on a series 2 at Toyfair. justjonnoh wrote: Sad that there was no news on a series 2 at Toyfair. Bummer. I really hope that Funko release some more Disney Afternoon figures, especially characters from DuckTales! These weren't released until November/December so wouldn't Toyfair be too early for them announce a second wave? When did we find out about this line last year? Wasn't it around August? Sorry if I missed something... but what are these lines of Action Figures called? 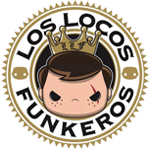 I wouldve called it ReAction before, but thats no longer with Funko. 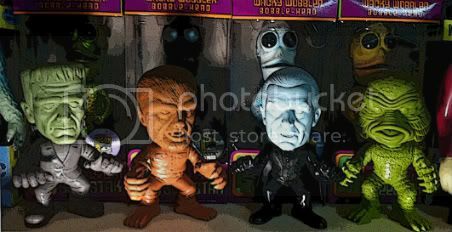 JohnnyQwest wrote: Sorry if I missed something... but what are these lines of Action Figures called? I wouldve called it ReAction before, but thats no longer with Funko. They seem to go by the name "Funko Disney Afternoon". I hope we get all the Gummi Bears real soon. And yes these were announced out of the blue late 2017 and came out very soon after. Hopefully we'll have more surprises soon. Ok thanks! Any clue what other lines would be called? I just assumed there would be one name like "Funko Action Series"
These action figure lines seem to be random as to what they come out with. The new Thundercats figures come under the Funko "Savage World" tag. So yeah they seem to have diversified into many different types of lines. Funko used to have Reaction as their action figure line, but that now seems to have branched off to Super7. All a little confusing. Ugh, this thread coming back has made me bitter again that they didn't make Gadget and Monterey Jack for the Rescue Rangers line. Those look really nice. Really great sculpts . .
jayncoke wrote: Welcome to boards! Thanks for the link. Interesting and cool video.